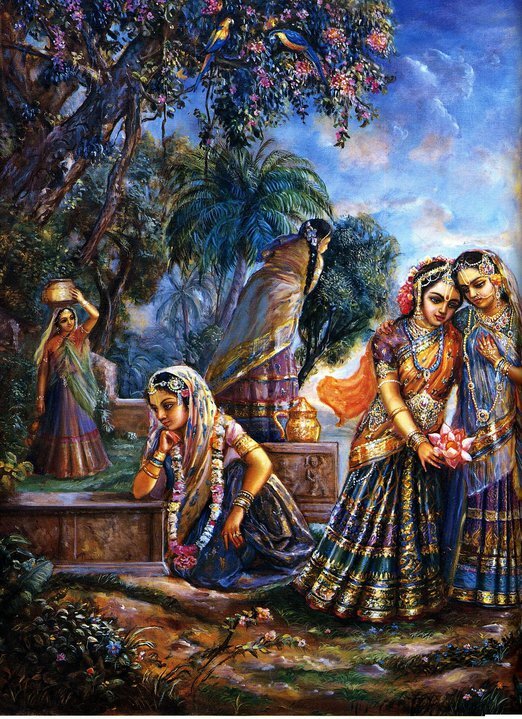 …After dressing nicely, Kṛṣṇa and Balarāma went to a florist of the name Sudāmā. As soon as They reached the precinct of his house, the florist immediately came out and with great devotion fell down on his face to offer his respectful obeisances. He offered a nice seat to Kṛṣṇa and Balarāma and asked his assistant to bring out flowers and betel nuts smeared with pulp of candana. The florist’s welcome greatly satisfied the Lord. The florist very humbly and submissively offered his prayers to the Lord, saying, ”My dear Lord, because You have come to my place, I think all my forefathers and all my worshipable superiors are pleased and delivered. 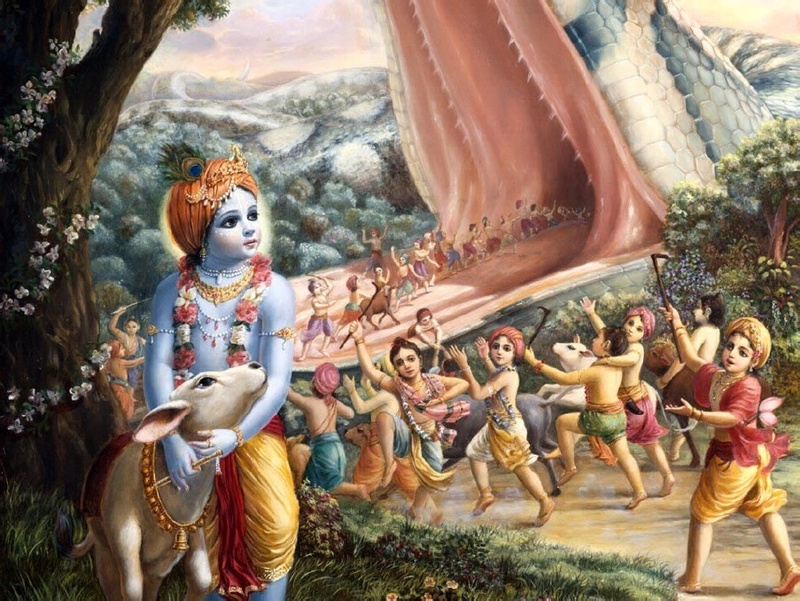 My dear Lord, You are the supreme cause of all causes of this cosmic manifestation, but for the benefit of the residents of this earthly planet, You have appeared with Your plenary portion to give protection to Your devotees and annihilate the demons. You are equally disposed as the friend of all living entities; You are the Supersoul, and You do not discriminate between friend and enemy. 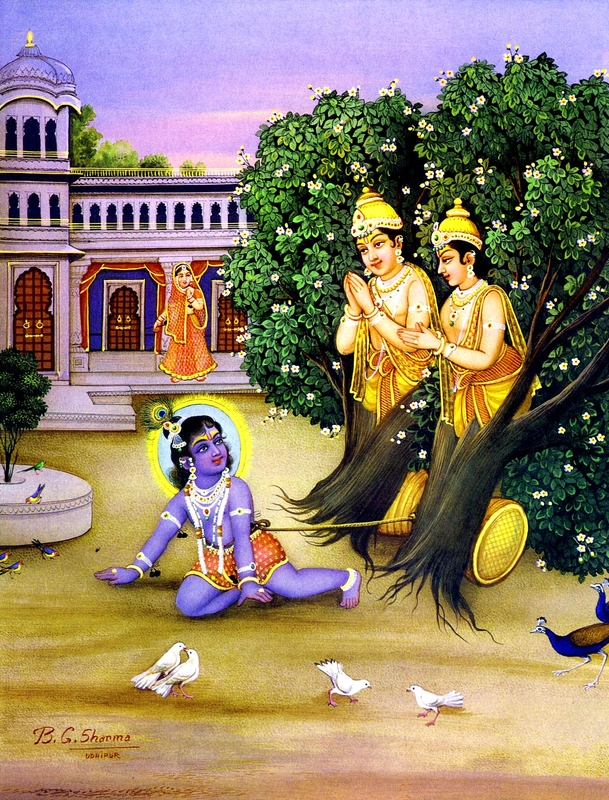 Yet You are pleased to give Your devotees the special result of their devotional activities. My Lord, I am praying that You please tell me whatever You wish me to do, because I am Your eternal servant. 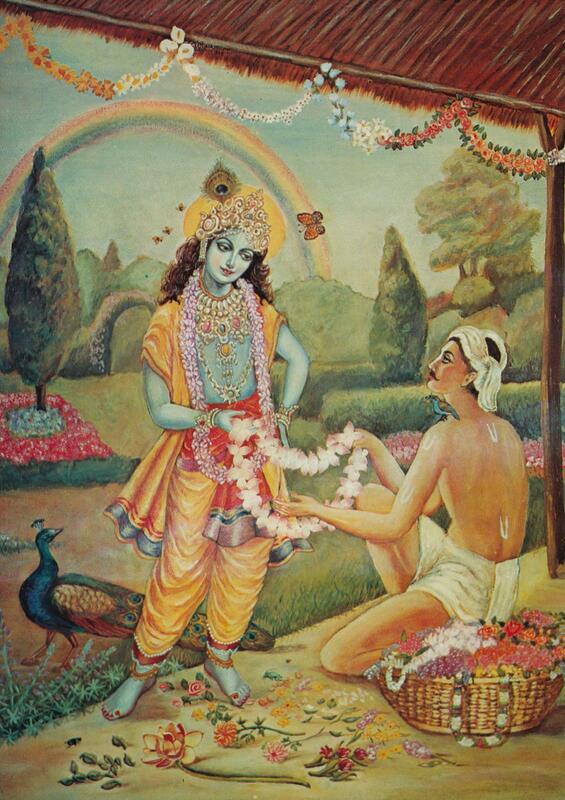 If You will allow me to do something, it will be a great favor to me.“ The florist, Sudāmā, was greatly pleased within his heart by seeing Kṛṣṇa and Balarāma in his place, and thus, as his choicest desire, he made two exquisite garlands of various flowers and presented them to the Lord. Both Kṛṣṇa and Balarāma were very pleased with his sincere service, and Kṛṣṇa offered the florist His salutation and benediction, which He is always prepared to bestow upon the surrendered souls. 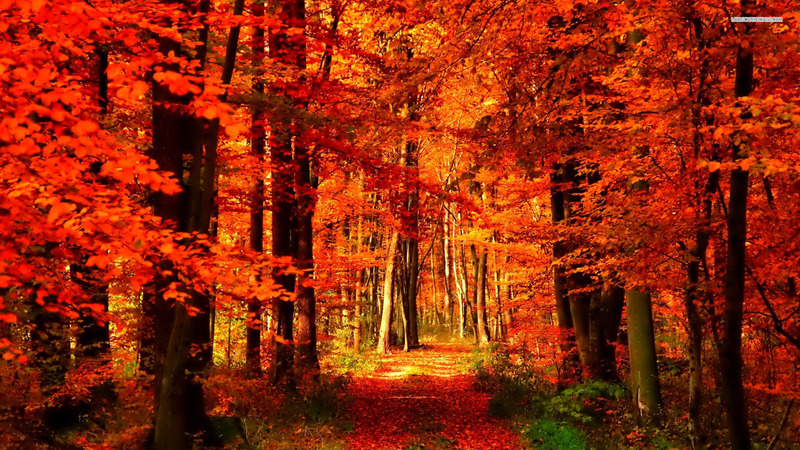 When the florist was offered benediction, he begged from the Lord that he might remain His eternal servant in devotional service and by such service do good to all living creatures. 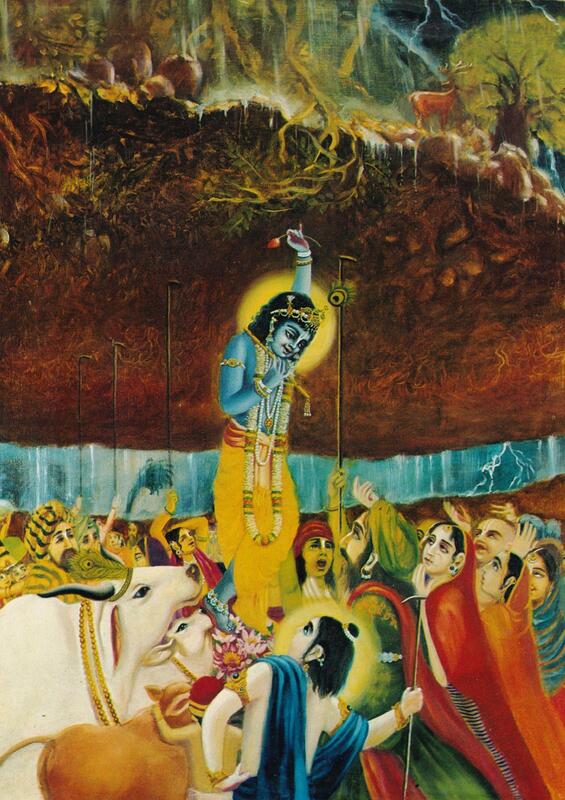 By this, it is clear that a devotee of the Lord in Kṛṣṇa consciousness should not be simply satisfied by his own advancement in devotional service; he must be willing to work for the welfare of all others. 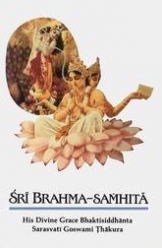 This example was followed by the six Gosvāmīs of Vṛndāvana. 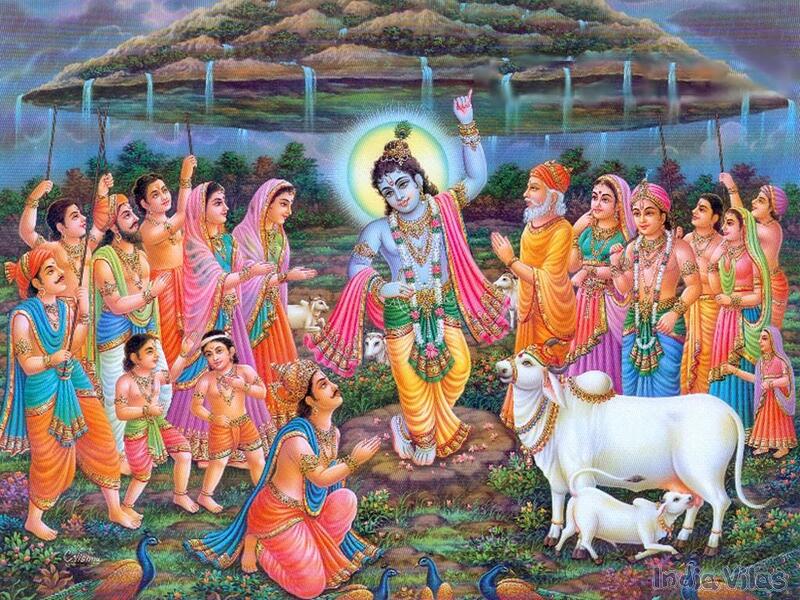 It is therefore stated in their prayer, lokānāṁ hita-kāriṇau: Vaiṣṇavas, or devotees of the Lord, are not selfish. Whatever benefit they derive from the Supreme Personality of Godhead as benediction they want to distribute to all other persons. That is the greatest of all humanitarian activities. 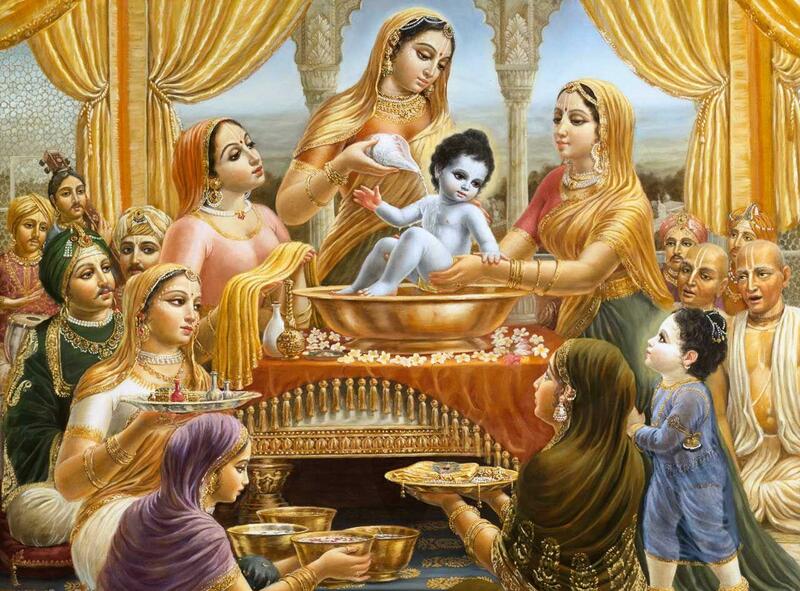 Being satisfied with the florist, Lord Kṛṣṇa not only gave him benediction for whatever he wanted, but over and above that, He offered him all material opulences, family prosperity, long duration of life, and whatever else his heart desired within the material world. 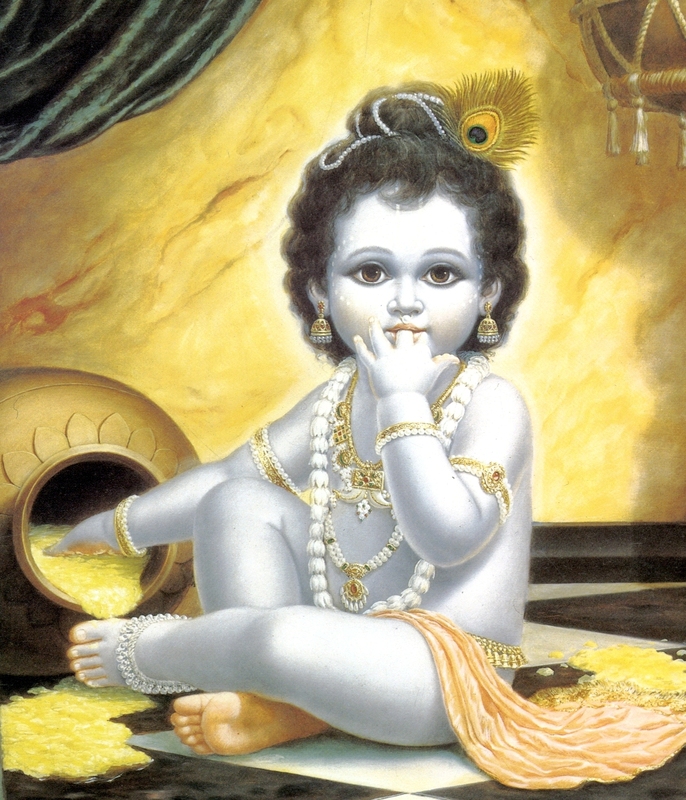 …Vṛndāvana was always absorbed in the thought of Kṛṣṇa. 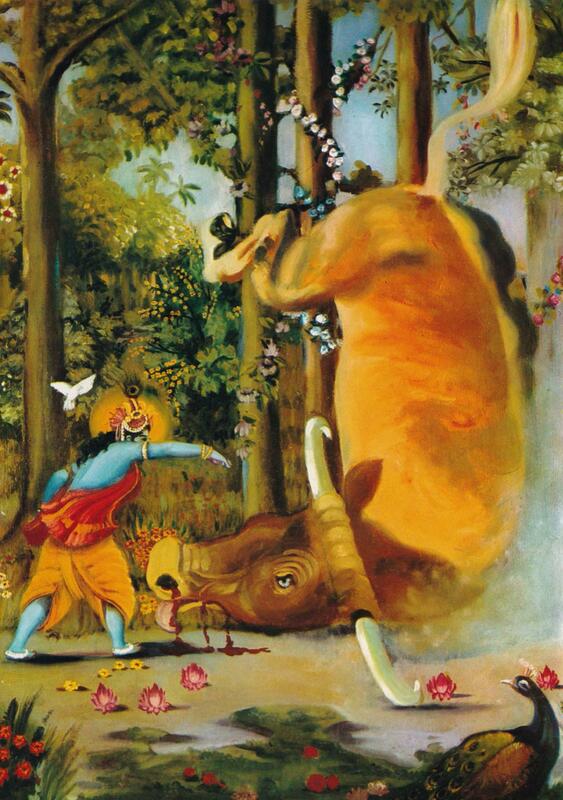 Everyone remembered His pastimes and was constantly merged in the ocean of transcendental bliss. But the material world is so contaminated that even in Vṛndāvana the asuras or demons tried to disturb the peaceful situation. One demon named Ariṣṭāsura entered the village like a great bull with a gigantic body and horns, digging up the earth with his hooves. 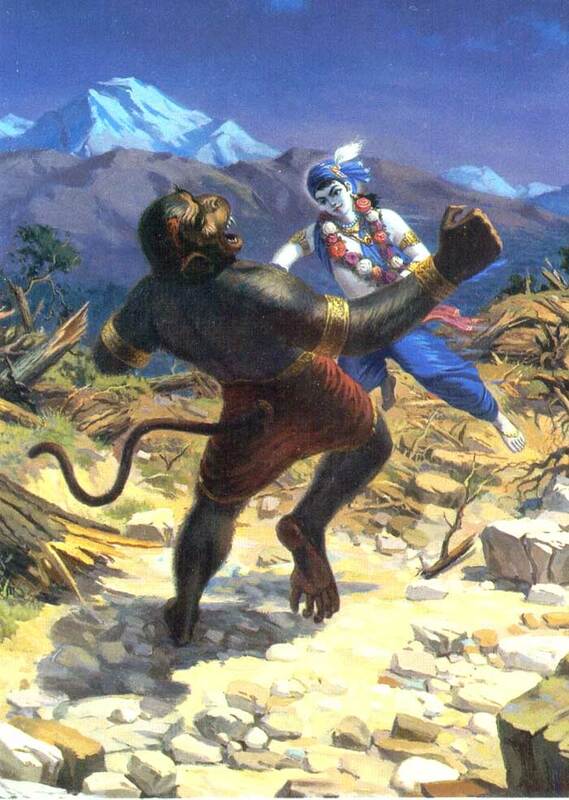 When the demon entered Vṛndāvana, it appeared that the whole land trembled, as if there were an earthquake. 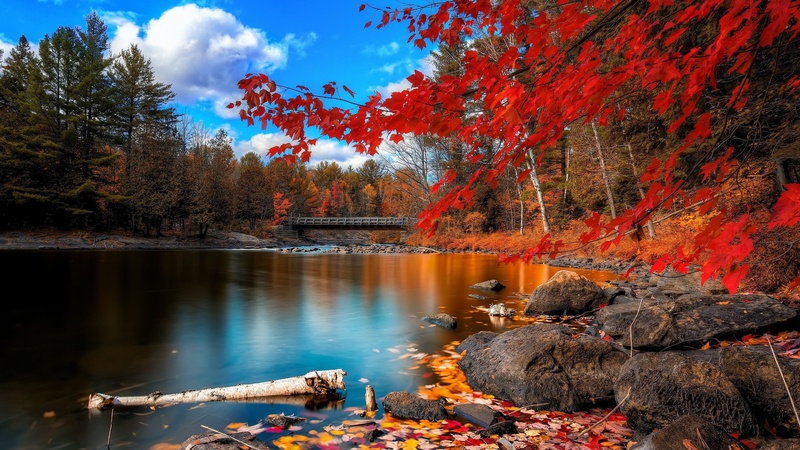 He roared fiercely, and after digging up the earth on the riverside, he entered the village proper. 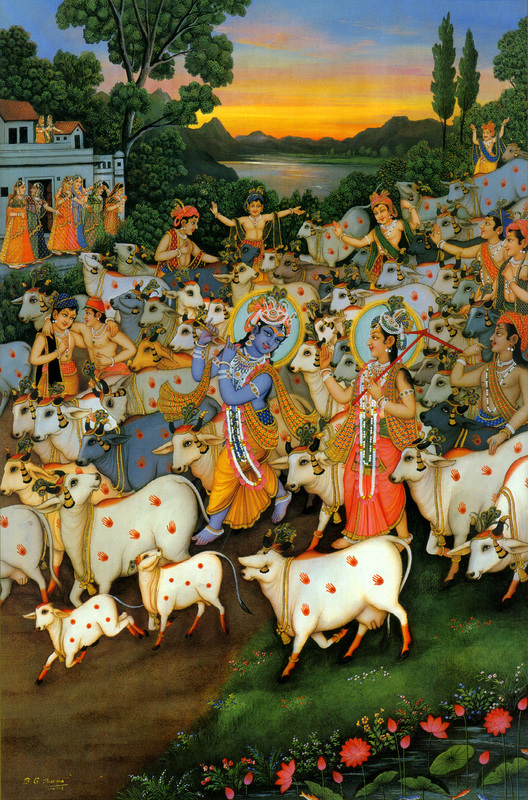 The fearful roaring of the bull was so piercing that some of the pregnant cows and women had miscarriages. Its body was so big, stout and strong that a cloud hovered over its body just as clouds hover over mountains. 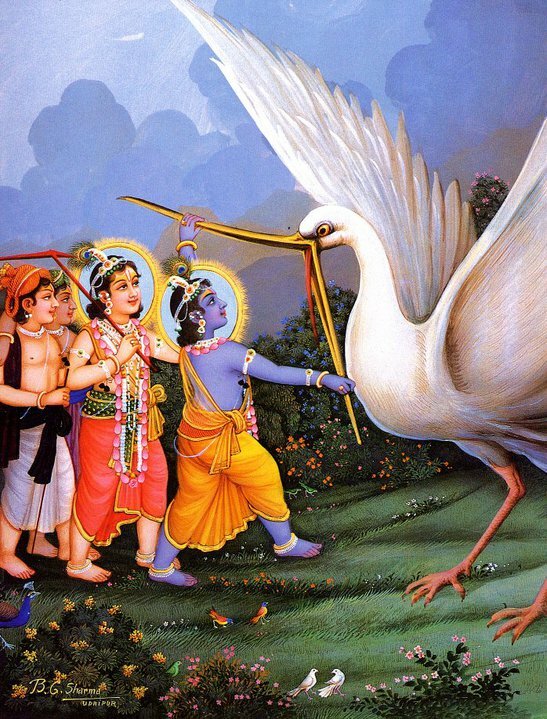 Ariṣṭāsura entered Vṛndāvana with such a fearful appearance that just on seeing this great demon, all the men and women were afflicted with great fear, and the cows and other animals fled the village. 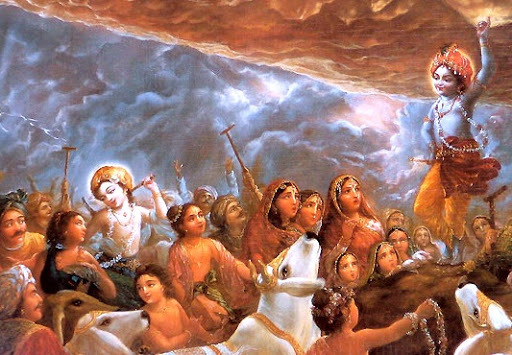 On November 3rd the festival known as Govardhana Pūjā is celebrated.